Museum visitor reading exhibition text. Photo by author. Ostensibly about the preservation, display and interpretation of objects, museums are also full of words. From way-finding signage (as anyone who has ever visited with a small child knows, a successful museum experience can critically depend on being able to locate the nearest washroom!) to fundraising, written text is an important part of what museums do. In the fall of 2018, I developed and taught a new course for the Master of Museum Studies program at the University of Toronto. Entitled “Artifact, Audience, Text: Writing in the Museum,” it introduced students to the theory and practice of writing text for museum exhibits. In it, I highlighted both the interdependence of theory and practice and the complexity of even apparently simple types of writing such as artifact labels. There is a lot at stake when you write text for museum exhibits. For one thing, your words will probably be on display for several years and seen by thousands of visitors. For another, exhibit texts tend to be shorter rather than longer, so individual words and phrases are much more visible than if they were buried in a bigger piece of writing. Finally, exhibit text is usually written to serve the widest possible audience; although you may direct it at particular types of visitors, it will also be read by many people who don’t fit into those categories. Text written for an academic project, journal article or book is not suitable for the informal learning environment of a museum gallery. Nowhere is this more visible than in the words that accompany artifacts in exhibits. Works such as Beverly Serrell’s Exhibit Labels: An Interpretive Approach and Kris Wetterlund’s If You Can’t See It Don’t Say It: A New Approach to Interpretive Writing are excellent resources for writing public-facing museum text. Beyond the straightforward considerations of sentence structure, tone of voice and the length of text blocks lie larger issues relating to the politics, production and consumption of text. To understand these, we need to look beyond practical writing advice and delve into some theory. Museum practice and museum theory have had a long and occasionally uneasy relationship. 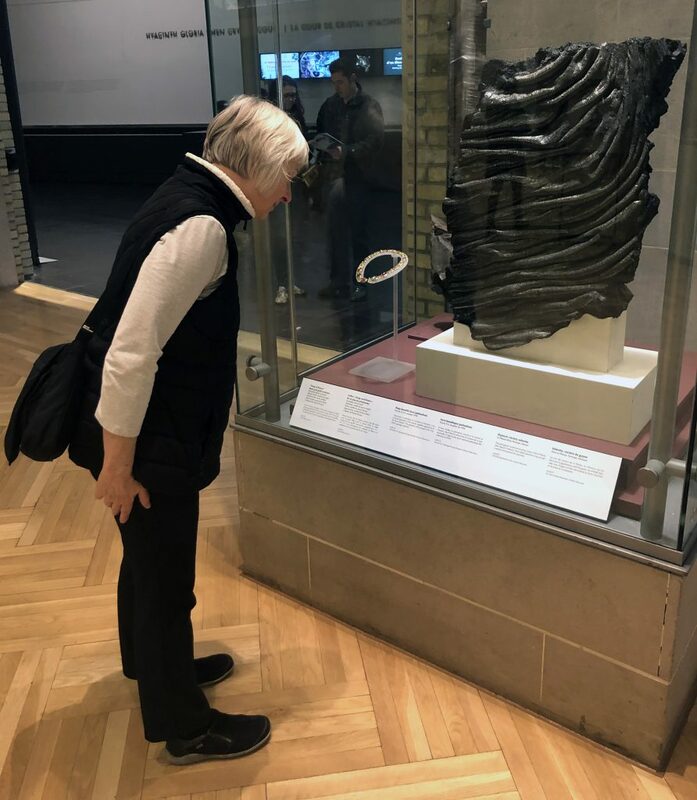 Theory has sometimes been dismissed as irrelevant to “real” work, and museum staff may not feel connected to the thinking that emanates from university museum studies programs when they’re up to their elbows in day-to-day operational issues. As the students and I worked through the course, we kept returning to a few fundamental ideas about the nature of language. I’d like to walk through these and think about what they mean for the text used in exhibits. These observations are largely drawn from two readings I assigned for the course: Mary Talbot, Karen Atkinson and David Atkinson. Language and Power in the Modern World (Edinburgh University Press, 2003) and Rhiannon Mason. “Cultural Theory and Museum Studies,” in Sharon MacDonald, editor. A Companion to Museum Studies (Wiley-Blackwell, 2006). Insight #1: Language and museum exhibits both define realities. Naming and describing are powerful acts. Something or someone with a name is more powerful than something or someone without. As soon as an object is displayed in a museum, it appears more important than objects that are not. Museums legitimize what they display and describe. For example, if your culture is described and/or on display, it is validated. Whether we intend it or not, both absences and presences have meanings, and visitors draw conclusions from both what they read and see and what they don’t. Choose your words carefully. Think about implicit messages you might be sending to the audience with your choices. Insight #2: Neither language nor museum exhibits can ever be neutral. All discourse is motivated, and spoken by someone from some place and for some purpose. Write to foster understanding rather than shying away from having a point of view. You can’t help but write as who you are, and from where you are, but you can remind yourself that your readers are coming from somewhere else, and don’t necessarily share your background or assumptions. Understand where you’re writing from, and be sure to share it with your audience. Insight #3: Language and museum exhibits both can present as “common sense,” or “just the way things are,” when they are, in fact, choices. Written language looks real. Museums seem substantial. If you are from the same cultural context as the words and/or the institution, this can look like the natural order of things. Neither particular words nor museums represent immutable truths; rather, they are one way among many. Which words are used, or what artifacts are chosen, might be decisions made so long ago that they might appear to be the only way things can be—but they’re not. There’s always another point of view and received truth is just that. Take nothing for granted and question your assumptions. Never write “as everyone knows” because not everyone does, and you don’t know by whom your panel will be read. Insight #4: Decisions about what words to use and what artifacts to include in museum exhibits are typically made by those with the power to do so. In recent years, museums have opened themselves up to new audiences and new ways of creating meaning. This effort to make museums “more dynamic, relevant, essential places” has been led, among others, by Nina Simon through her work on the participatory museum. You might not feel as though you have power and privilege, but as someone writing on behalf of an institution, you do. That doesn’t mean you shouldn’t have it, but it does suggest that you look for ways to share it and let others in on your work. Use the power and resources at your command for the greater good. Share the physical and textual spaces to which you have access and the power that comes with them. Insight #5: Words and artifacts can have a multitude of meanings, and a particular sentence, paragraph, exhibit text or interpretation of an object can capture, at best, only some of them. Meanings are multiple. You will intuitively understand some, and may school yourself to perceive others, but there are others still that you just won’t get until someone points them out to you. Make it clear in your writing that you and your institution are sharing your understandings, and ask your audience to participate in and/or around the exhibit to share theirs. Insight #6: Readers of texts play an active role in realizing meanings. Reading written text is not a matter of simply receiving the author’s meaning. When others read your text (or view your exhibit), they construct a meaning for themselves that may not exactly match what you wrote. “My” words cannot encompass all of your reading, and your viewing is not confined to “my” exhibit. Be flexible in your learning objectives, and define “success” broadly in the context of exhibit-making and exhibit writing. Insight #7: Words work better when they have a voice. We’ve all had trouble with email, misunderstanding messages because we can’t see the speaker’s face or hear their tone of voice. You can write museum text as what novelists call an “omniscient narrator,” but it’s becoming more common to identify a speaker, or at least to let the institution have a distinctive tone of voice. By backing away from the illusion of omniscience, we abandon false neutrality and leave space for those who read our words and visit our exhibits to also find themselves in what we present. Name the speaker or writer of your words. When we write for museum exhibits, we unite words and objects. They are in the middle, and we’re all of us, writers and readers alike, grouped around them, taking away what we need to construct meanings that make sense to us. If we recognize this, and accept it, then we can write for exhibits in a way that expands, rather than curtails, the range of visitor experiences and understandings which they offer. John Summers is Halton Region’s Manager of Heritage Services and Curator. He holds a Master of Museum Studies degree from the University of Toronto. A curator and museum educator with experience in both the U.S. and Canada, he has taught students about museology, material culture studies, exhibition development and writing for museums. His book Creating Exhibits That Engage: A Manual for Museums and Historical Organizations was published by Rowman & Littlefield and the AASLH in 2018.